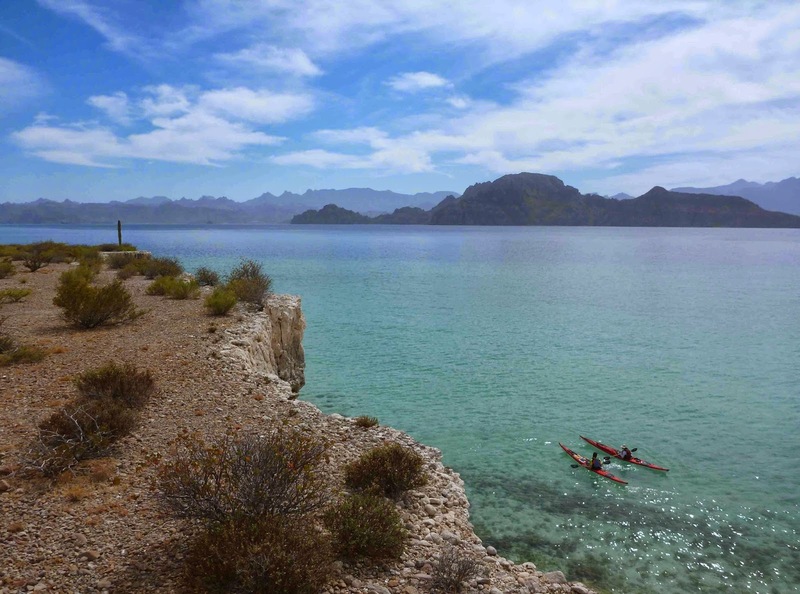 As a company, Sea Kayak Baja Mexico operates about a dozen trips per year. Each trip is a different experience and becomes influenced by the unique participants involved. 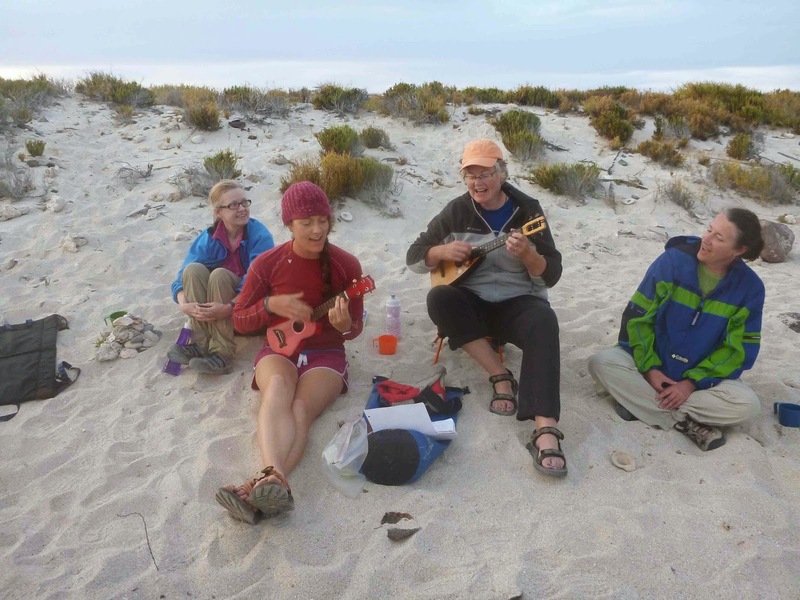 From March 18th through the 22nd, Ginni Callahan and Bonnie Perry had the pleasure of leading a trip of women by sea kayak for an experience complete with a ukelele band and sing-alongs under palm trees and starry skies. 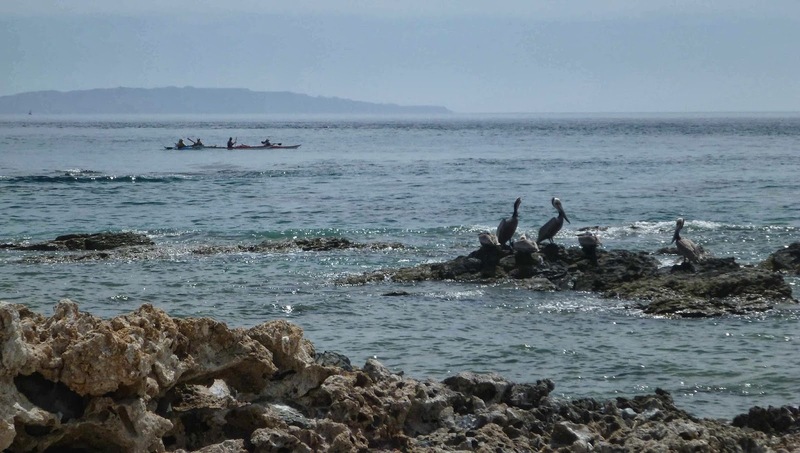 Ginni writes about the wildlife, "Dolphins visited often, sometimes leaping to great heights. They passed our campsite chasing fish, an opportunity of which the birds took great advantage. 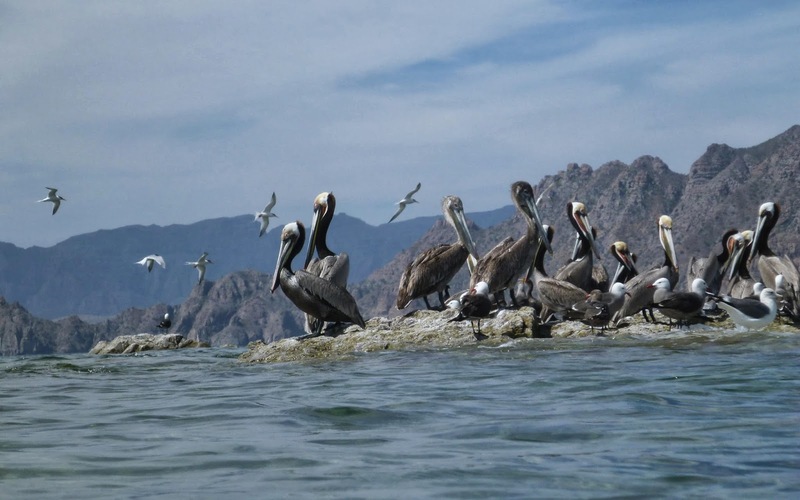 I have no idea how the word got out—faster than texting—but they flocked in from distant parts to converge on the fish. After the feeding, there were more birds lounging and digesting around Punta Baja, the southern tip of Carmen Island, than I've ever seen. Over a hundred Blue Footed Boobies, several dozen Magnificent Frigates, Royal Terns, Brants and Double Crested Cormorants, Brown Pelicans, Yellow Footed Gulls, Hermans Gulls." The group were enthusiastic to learn more about paddling so they worked on rolling, bow rudders among the rocks, edging & bracing and forward stroke technique. 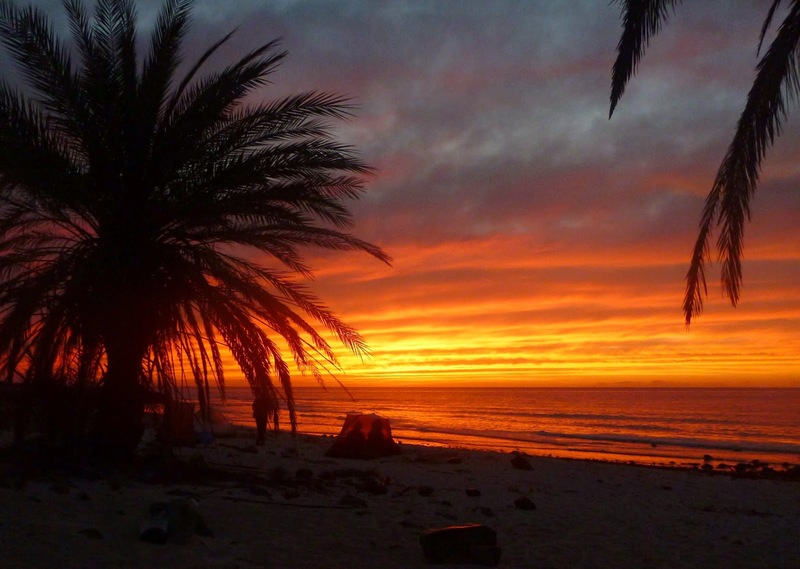 Inspired by this trip, a "Women's Retreat 2" is now on the schedule April 8-13, 2015. In addition to the pure joy of spending time in a magical & spectacular place with wonderful people, the trip will focus on skill development. What better place to relax, let go, better your paddling skills and create lifelong memories?